Upon hearing that Bunker Hill Military Academy will be demolished to make way for condominiums, the cadets barricade themselves inside. With a full arsenal of weapons, the ability to use them and a keen sense of discipline and hierarchy, the kids prove formidable foes of the local police and the parents laying siege to the Academy. But when the National Guard moves in, morale breaks down and the boys slowly start deserting the compound. The riveting tale that took America by storm is now an unstoppable force: T.A.P.S. : 25th Anniversary Edition packs an arsenal of extras including an all-new, on-camera interview with Timothy Hutton, an Audio Commentary, two Featurettes and more! $93.005 thousand on 3 screens. How things have changed! When Taps hit movie screens back in 1981, George C. Scott received top billing, but that occurred solely due to his star status. He actually played a supporting role in the film; he didn’t even appear after the first act of the flick. The movie’s main character comes from its second-billed actor, Timothy Hutton. At the time, he was the only notable among the young performers. Hutton made a splash with 1980’s Best Picture winning Ordinary People. Hutton nabbed his own prize as Best Supporting Actor and seemed on his way to a bright career. Hutton continues to work, but he never achieved great stardom. He’s entered a supporting role netherworld that often leaves him with small parts in piffle like Last Holiday, though he also got a role in Kinsey, so he occasionally turns up in more substantial fare. On the other hand, Taps boasted a couple of supporting actors who went on to a smidgen of success. As Hutton’s second in command, we found Sean Penn, who earned fame a year later with Fast Times at Ridgemont High. In a smaller role, we got Tom Cruise, who hit the big time in 1983 with Risky Business. It’s interesting to see this conglomeration of then-young talent all in one place. Taps examines the events at the Bunker Hill Military Academy, a prep school for middle and high school students. We encounter the crew at the end of a school year. Hutton plays Brian Moreland, a rising senior who gets the key position of Major and who will be the school’s student leader. Brian will answer mainly to General Bache (Scott), the facility’s long-term chief. All seems well in their world until they get some shocking news: real estate developers slate Bunker Hill for extinction. They want to use the property for condominiums and tell the folks they’ll need to split after the following term. This causes consternation but at least the students and leaders have a year to change this situation. However, matters take a distinct turn for the worse during an end of the year ball. Some rude townies jeer the arriving cadets and matters turn violent when they start a fight. Bache tries to break up the conflict when one of the interlopers grabs at his pistol. Bache tries to regain control of it when it discharges and hits one of the townies. He dies soon thereafter. Bache goes into custody and quickly suffers from a heart attack, which puts him into the intensive care unit. Because of this controversy, the powers that be decide to close Bunker Hill virtually immediately. This doesn’t sit well with the students, and they decide to take matters into their own hands. Brian organizes an armed occupation, as the students use their skills to take over the campus and keep out external forces. The rest of Taps follows these events. The film examines the way in which the students interact and react to the pressures put upon them, especially due to the outside actions that try to drive out the kids. Brian has some confrontations with his father (Wayne Tippet) and we also meet Colonel Kerby (Ronny Cox), the main person who comes to eliminate the students toward the end. At its best, Taps provides a reasonably compelling character examination, and it offers some depth. The best aspect of the film relates to its lack of obvious sentiment. 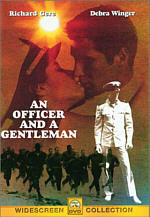 During the first act, the story seemed to fall strongly on the side of the military academy. Everything appeared hunky dory until non-military elements – the real estate folks, the townies – came in and ruined things. Had Bunker Hill been left well enough alone, no problems would have occurred. However, matters became less clear as the movie progressed. Taps easily could have been a rah-rah David and Goliath story as we blindly cheer for the kids to overcome the odds. But that doesn’t happen. Instead, nuances emerged to make us question the legitimacy of the occupation and their actions. Reflexively, we remained on the side of the students to a degree, but Taps didn’t present a black and white tale. 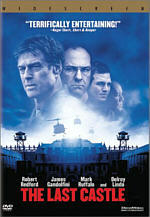 Ultimately, the movie can appeal to both hawks and doves, as it never comes down obviously on either side of the fence. Across the board, Taps seemed a like a good but unspectacular, piece of work. The acting appeared solid though nothing special. Cruise and Penn stood out from the cast, but I thought that occurred mainly because of their subsequent prominence; I can’t go back in time to when they were unknowns and view them in that light. Both seemed just fine in their roles, though. Penn got the more naturalistic and three-dimensional part, and he helped bring Brian’s friend Alex to life. Cruise’s David Shawn is little more than a generic budding fascist, but he brought nice spark to the character. Hutton seemed moderately disappointing as Brian. He didn’t appear weak in the part, but I thought he was a bit drab and without much spark. Hutton didn’t harm the movie, but he also didn’t add much to it. 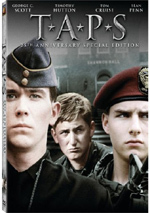 Ultimately, I thought Taps was a good movie but it lacked a tremendous amount to make it stand out in a positive way. It was well meaning and admirably deep, but I didn’t think it came across as terrifically compelling or absorbing. Overall, it offered a good but unspectacular piece of work. Taps appears in an aspect ratio of approximately 1.85:1 on this single-sided, dual-layered DVD; the image has been enhanced for 16X9 televisions. The picture displayed a mix of small concerns, but for the most part I thought it looked quite good. Sharpness usually came across as solid. A few wider shots displayed some minor softness, but those problems appeared infrequently. Overall, I thought the image looked reasonably crisp and well defined. Jagged edges and moiré effects caused no concerns, and I also saw no signs of edge enhancement. Print flaws remained pretty minor, especially considering the age of the material. Some light grain popped up through the movie, and I also detected a few marks and speckles, but the film stayed fairly clean as a whole. Colors generally appeared positive. Skin tones occasionally seemed a bit reddish, but otherwise the hues were clear and well saturated. The movie stayed with a fairly bland palette, but the DVD rendered them nicely, with accurate and distinctive tones. Black levels looked quite deep and rich throughout the movie, while shadow detail usually appeared clean and appropriately opaque; a few low-light sequences came across as slightly thick, but those occasions were rare. Ultimately, I thought Taps presented a very satisfying image. Also good was the Dolby Digital 4.0 soundtrack of Taps. The soundfield seemed fairly broad for its era. Audio spread widely across the front spectrum. On the negative side, those elements appeared pretty speaker-specific; different aspects of the track didn’t blend together terribly well for the most part, as they remained heavily isolated in their different channels. Actually, a few pieces – like driving trucks – panned across speakers nicely, but most of the track stayed with this speaker-specific attitude. Nonetheless, the breadth to the mix seemed pretty impressive for a movie from 1981, and Taps seemed rather active in that regard. Surrounds contributed decent reinforcement to the forward spectrum. Not a lot of unique audio came from the rears, but they supported the main channels well and added a nice layer of depth. Considering that most films from 1981 remained monaural, I felt fairly impressed by the soundfield of Taps. Audio quality seemed somewhat erratic but generally positive for its era. Speech came across as a little tinny, but the lines lacked edginess or problems related to intelligibility. Music seemed nicely bright and vivid, and the score occasionally showed some positive depth. Effects varied in quality. Some elements – like gunfire – appeared surprisingly flat and thin, while others – such as the rumble of vehicles – were rich and distinct. Bass response could be quite positive at times, as trucks and tanks showed nice depth and warmth. I heard a little hiss at times, but that was a minor concern. Overall, the quality of the audio seemed a little lackluster at times, but this remained a nice mix for its age. If you compare the comments above to the notes I made about the movie’s original DVD release, you’ll notice they’re identical. I detected virtually no differences between the 2006 transfer and the 2002 edition. If any changes occurred, they seemed unnoticeable to me. At least the 2006 disc adds some extras to the bare-bones 2002 release. We begin with an audio commentary from director Harold Becker. He presents a running, screen-specific piece. Though not without its merits, the commentary fails to engage the listener. Becker briefly tells us how he got involved in the project before he discusses locations and sets, cast, rehearsals and performances, themes and the movie’s depictions of the military, interpretation of the story and general introspection. For the first act or so, Becker proves reasonably informative. He gives us a decent look at the project as well as some good notes about its soon-to-be-famous stars. Unfortunately, Becker runs out of steam before too long. As the track progresses, we encounter more and more dead air, and Becker often does little more than narrate the film. He still tosses out the occasional interesting comment, but those moments are few and far between during the movie’s second half. This is a sporadically compelling piece but not a good one overall. Next comes a featurette called Sounding the Call to Arms: Mobilizing the Taps Generation. In this 29-minute and 44-second piece, we get movie clips, archival materials, and interviews. These feature Becker, producer Stanley Jaffe, director of photography Owen Roizman, film critic Richard Schickel, and actors Timothy Hutton and Ronny Cox, The show looks at the movie’s path to the screen and what attracted various participants, script development and changes from the original novel, casting and performances, locations, training, and weather problems, cinematography, general notes and stories from the shoot, and thoughts about the flick. Although it’s a disappointment that Sean Penn and Tom Cruise fail to appear here, I can’t call it a surprise, so I won’t criticize "Arms" for their absence. Even without them, it turns into a pretty solid program. Inevitably, some material repeats from Becker’s commentary, but we get plenty of new details along with nice reflections. Though it features too many movie shots, "Arms" covers the movie fairly well and proves both enjoyable and informative. Another featurette follows. The Bugler’s Cry: The Origins of Playing ‘Taps’ goes for six minutes, 54 seconds and includes remarks from bugler and brass historian Jari Villanueva. He tells us the roots of the tune along with some myths related to it. Tight and concise, “Origins” offers a neat look at the famous bugle call. A few promos fill out the set. We get four trailers and two TV Spots. 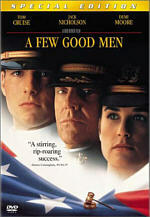 As a film, Taps seemed to be a decent piece of work. I found the movie to appear consistently watchable, but it never escalated beyond that level to become something special. The DVD offered quite good picture and usually solid sound as well as a few decent extras. Taps is a pretty good movie that at least merits a rental. As far as purchase, should fans who own the original release “upgrade” to this special edition? I’d say no. The picture and quality remain the same, and the extras aren’t substantial enough to warrant another purchase. New fans will want to go with the special edition, though, as the supplements make it the superior of the two releases.